Several days ago, I started a sketch with the Brushes app on my iPhone, a courtyard in Brasilia, drawn from imagination and memory. 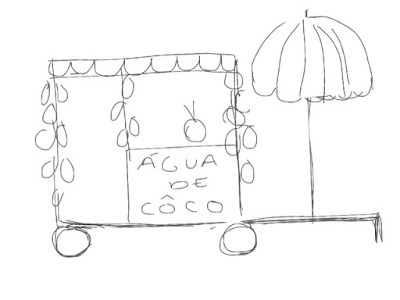 (The original sketch is posted here, on June 19.) Tonight I went back to it and cleaned it up, still using the iPhone Brushes app. 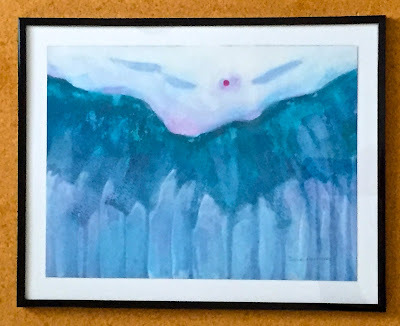 This is the other painting that I framed yesterday. This one is also acrylic used as water media paint. 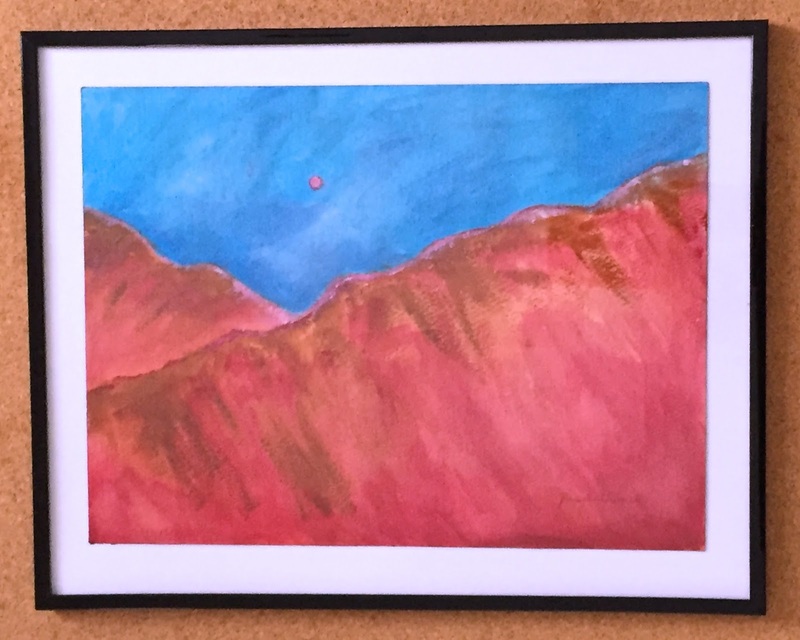 These paintings are painted from imagination but inspired by memories of the Colorado Rockies. I couldn't decide which painting to submit, so I took both of them with me today when I went to Galatea Fine Arts. I have been traveling and haven't had a chance to work on this digital drawing. Tonight I got back too it. I worked on the awning and the umbrella and did some cleaning up. This is a photo that I took in Copacabana, during a recent trip. I liked the look of falling leaves (because its winter in Brazil) and the backdrop of art deco architecture. I liked the original image, but it contained a truck and a street lamp. So last night, I used iPhoto to crop out the truck, and then used Painter's digital pastel to take out the street lamp and add some more leaves to cover my tracks. Then I did a little bit of light posterizing to get this image. I did some more work on this digital drawing, mainly The umbrella, and adjusted some colors. I am working on this from my iPad and drawing from memory. Today I started adding color to this little sketch of a Brazilian coconut water stand. I am working from memory and using the Brushes app on my iPhone. More tomorrow. 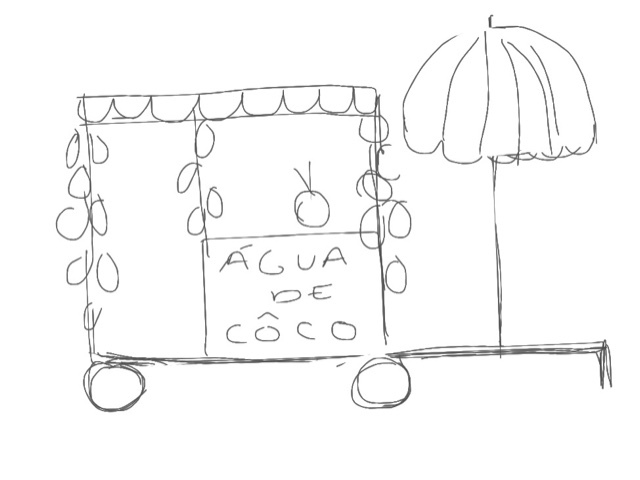 Tonight I started this sketch of a cart selling agua de coco (coconut water). I used the Brushes app on my iPad. At this point I am working from memory, but my refer to some photos. The next step is to add color. 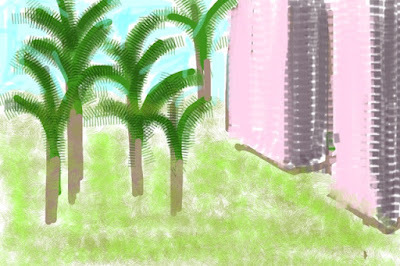 Here's another little sketch, this one of a courtyard in Brasilia. 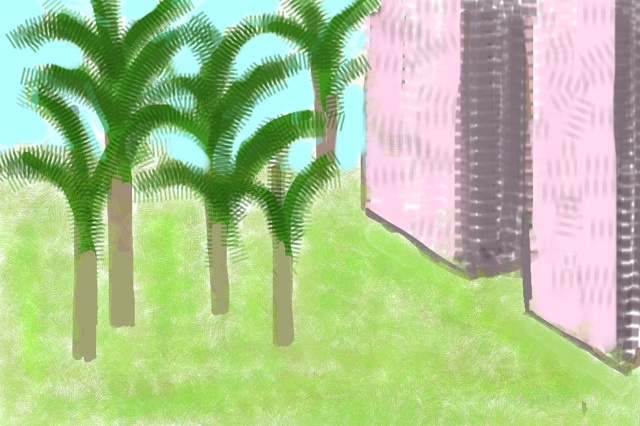 Done from memory with the Brushes app on my iPhone. First view at dawn. 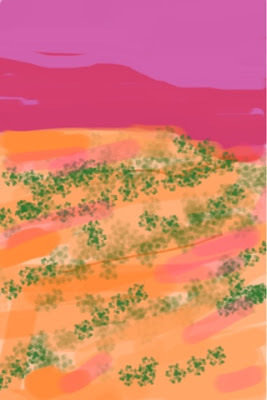 Drawn with the Brushes app on my iPhone, working from memory of the view from the plane. A couple of weeks ago, my cousin was visiting and we spent time photographing flowers at Long Hill Gardens, here in Beverly, MA. 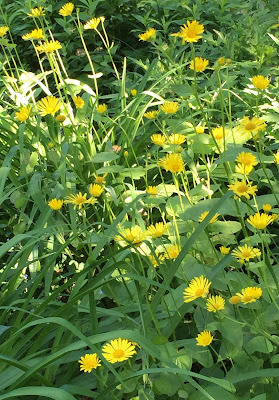 And when things are in bloom at Long Hill, it is hard to pay attention to anything else. But this chestnut tree looked amazing in the dappled light of late afternoon, so I tried to get some pictures. 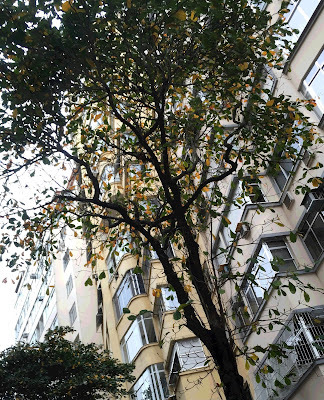 (It wasn't easy, due to the mix of bright light and dark shadows.) Tonight I edited the original photo to get this image. 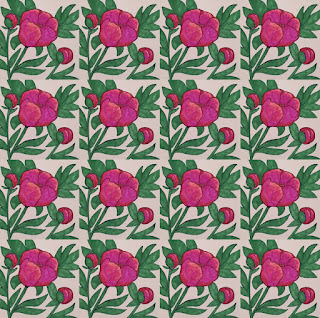 I used Painter to create this pattern from my sketch of peonies. 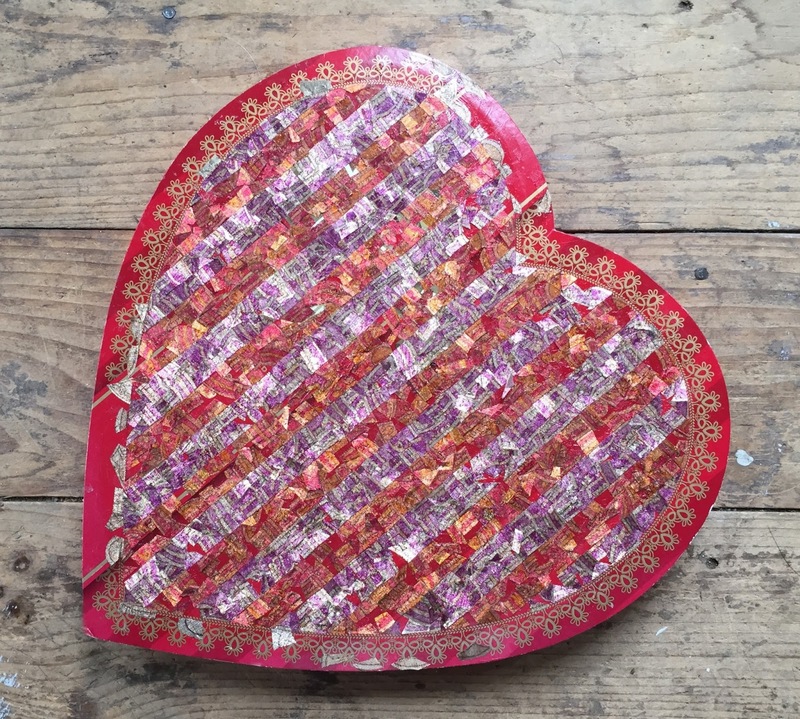 (Yesterday I posted the final version, with a green border.) 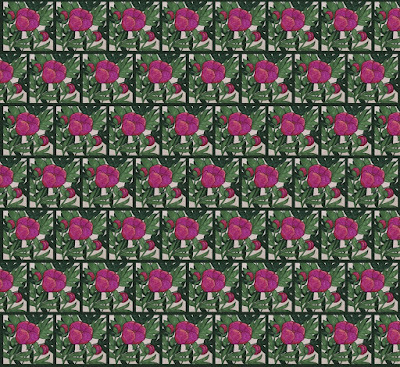 This pattern is offset, but I can also created a tiled version. 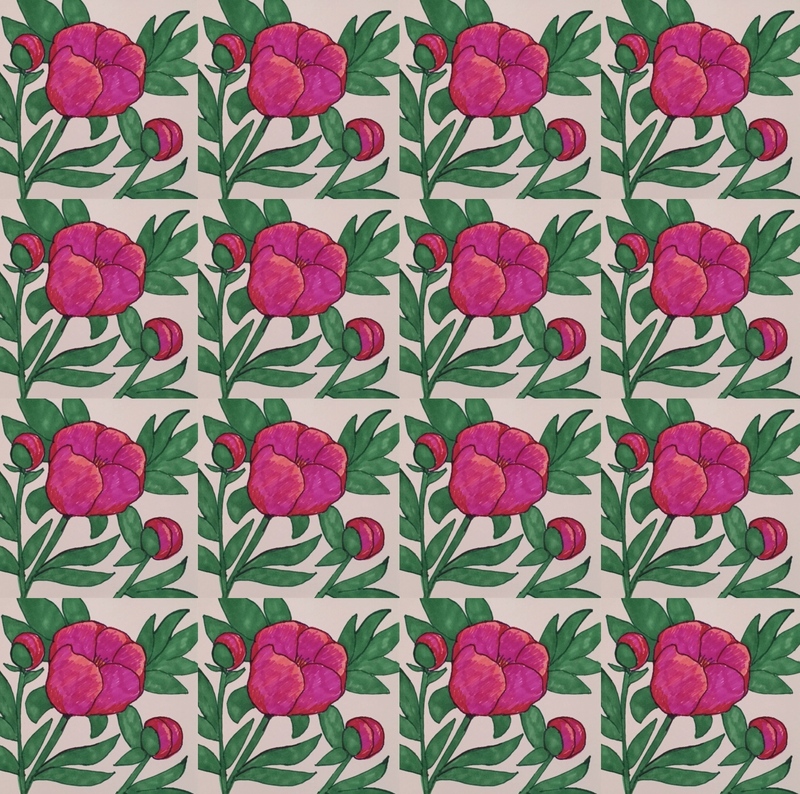 Either way, I think I can use this pattern (as well as the sketch) to make things on Zazzle.com. This is the sketch of peonies that I have been working on, drawn with Sharpie markers. 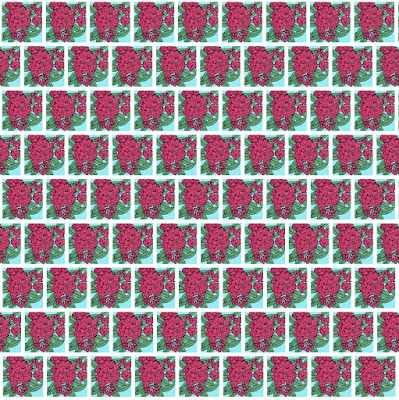 Tonight I opened the image in Painter, made a couple of digital corrections, and then added a green border so the image would work better in a pattern. This is the sketch of peonies that I started a few days ago (June 10th). Yesterday I added some more dark green leaves, working to make logical connections of leaf to stem. This was done with fine-line markers (a great set of Sharpies that I picked up at Costco). 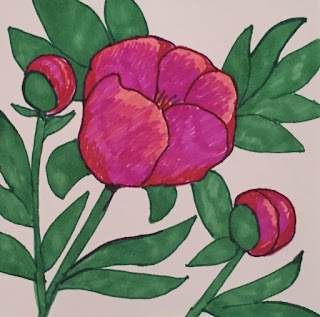 On June 10, I started a sketch of some peonies, using my Sharpie pens. 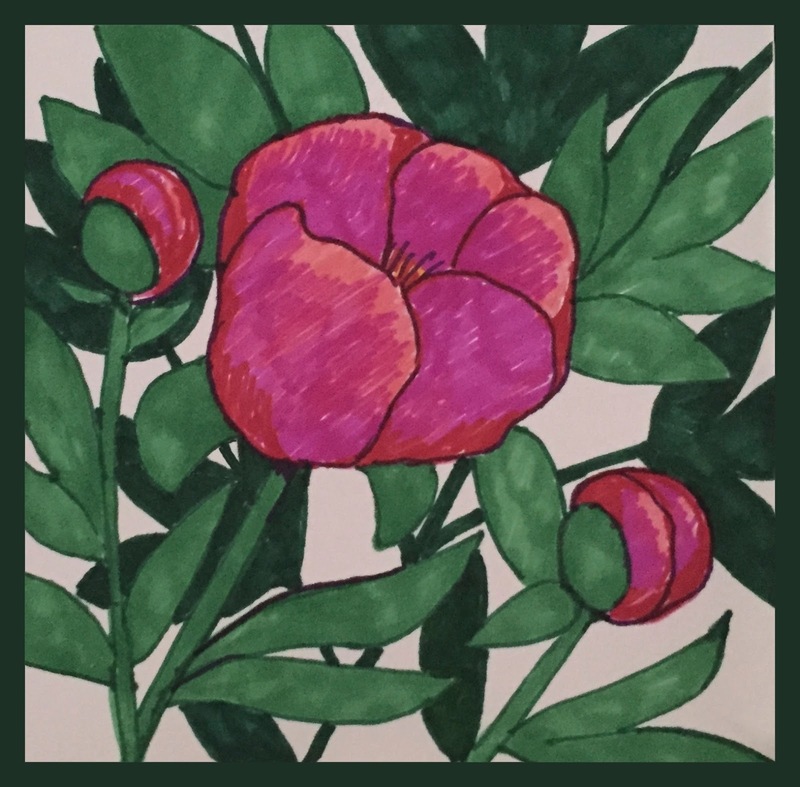 I posted the original version, but later that same day, I decided to add more dark green leaves. To be continued. . . . Yesterday I drew a sketch of peonies with my Sharpie fine line markers. 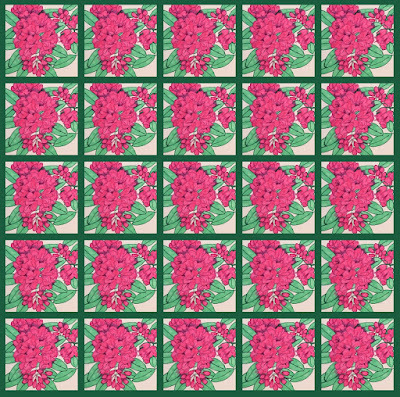 Even though this isn't the latest version of the drawing, today I used it to make a pattern in Painter. This morning, I was waiting around as my stove was being repaired, and I decided to draw to pass the time. I got out my Sharpies and a small pad (maybe 5 inches square). 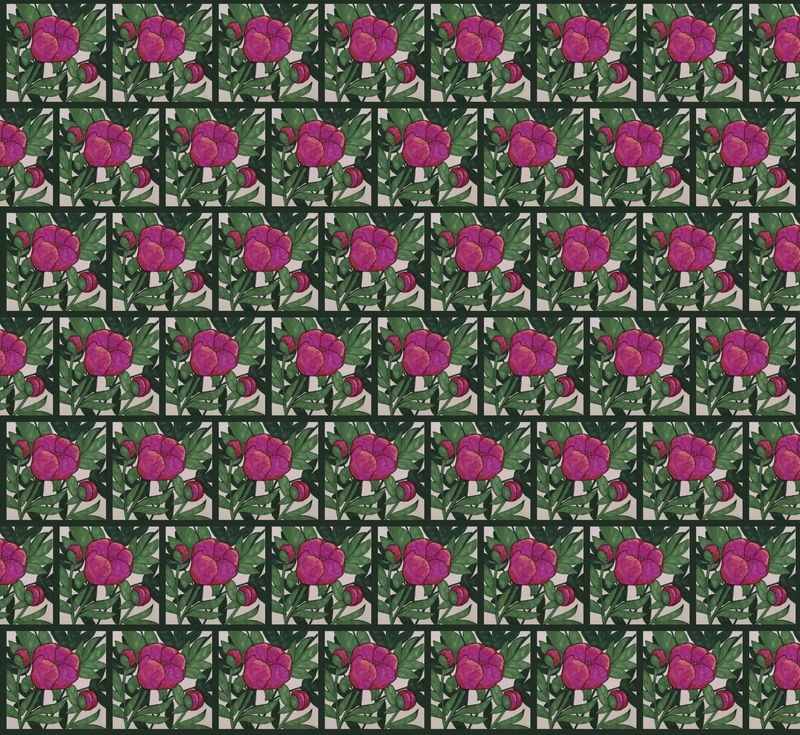 I had a couple of my recent photos of peonies on my phone, and I looked at them for reference, but a lot of this was from my imagination. I had a lot of fun. This is as far as I got by the time the repair was complete. Here's another photo that I took last week at Long Hill Gardens, here in Beverly, MA. My cousin was visiting and we went to Long Hill Gardens as soon as she arrived. It was close to 5 PM and I loved the way these daisies looked in the late afternoon light. Tonight I cropped the original photo to get this composition. 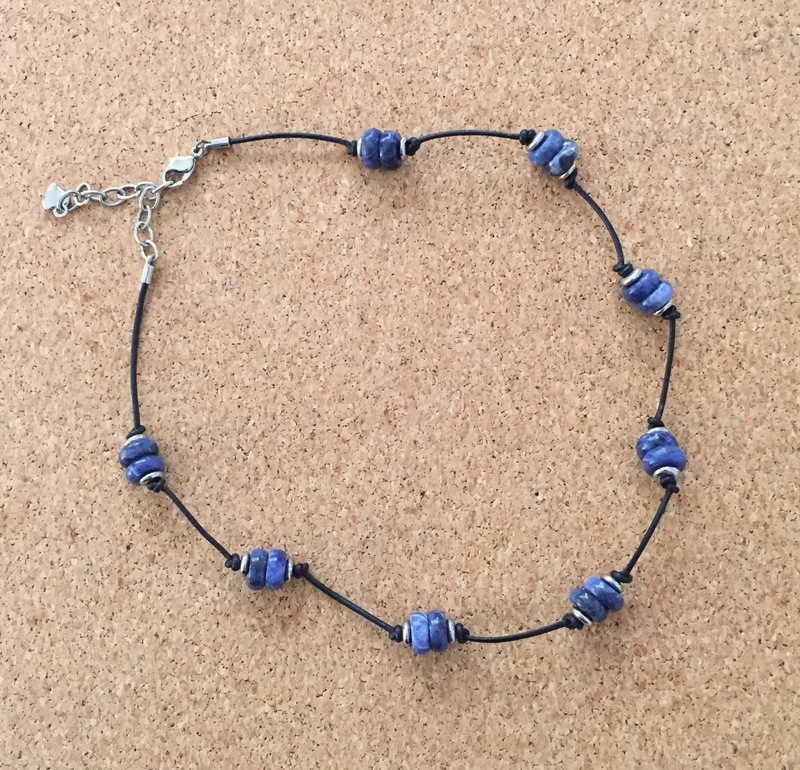 I made this necklace for my Aunt Rita some time ago. Last week, Rita's daughter visited and returned this necklace to me. This is blue stone on a knotted leatherette cord. Now I am going to wear it in honor of my Aunt Rita (my father's sister), whose memory is a blessing to me. 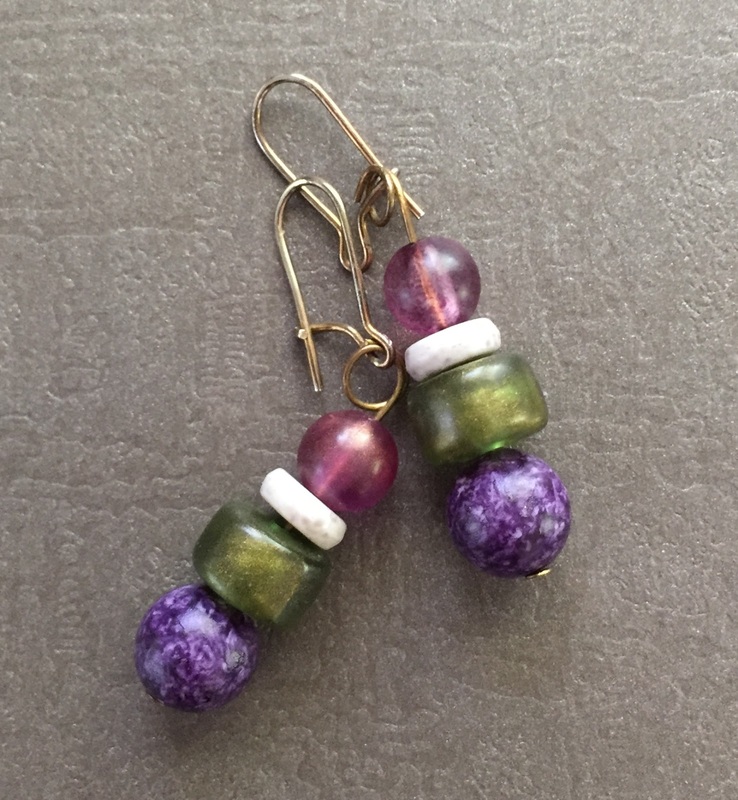 I made these earrings some years ago for my Aunt Rita. I came up with the color scheme because she seemed to wear these colors. Recently, her daughter brought the earrings back to me. Now I will wear them in Aunt Rita's memory. This image began with a photo that I took yesterday at Long Hill Gardens, here in Beverly, MA. My cousin and I returned there for a second visit, this time late morning. She took lots of photos of peonies for her project, and I took a few myself. We were almost finished when we spotted these dusty rose peonies. I loved the color, but the flowers were leaning toward the ground so the angle was difficult, and besides that, they had to be photographed through a balustrade. Although I managed to get a good view of the blossoms, my photo also captured part of the wall in the background, including some pipe, rusted white wire, and other assorted complications and distractions. Tonight I opened the image in Painter and tried to solve some of the problems. First, I added some pixels to the top of the image so I could make the angle less extreme. 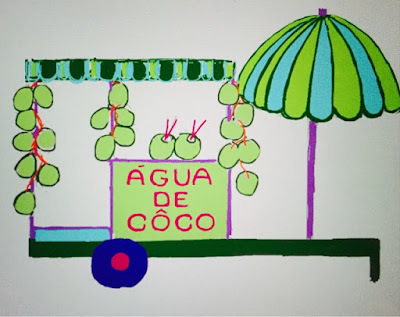 Then I used digital pastel to draw over the distractions. Then I posterize the image to make the background blend together. This also posterized the blossoms, and I was really happy with the way they looked. I moved the image back into iPhoto to straighten and crop the image, and to do some final cleanup, and here it is. Here is another photo that I took yesterday at Long Hill Gardens, here in Beverly, MA. My cousin was visiting and wanted to look at the peonies. We got there around 5 pm, and the evening light was lovely. My cousin was taking lots of pictures, and I took a few myself. 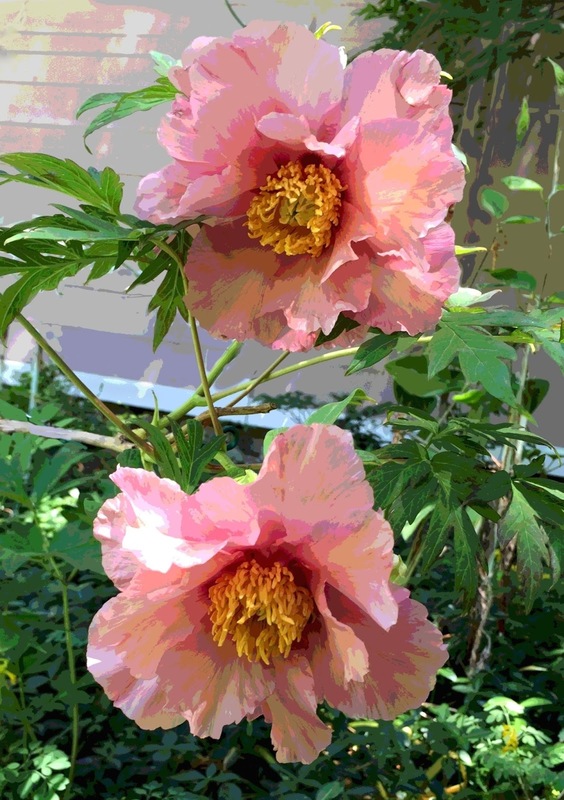 Tonight I cropped this image out of the original photo, a closeup view of one pale pink peony. This is a photo that I took today at Long Hill Gardens, here in Beverly, MA. 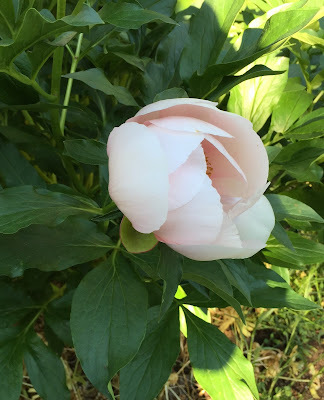 My cousin is visiting and wanted to look at the peonies there, and take some pictures. We got there around five and the light was amazing. 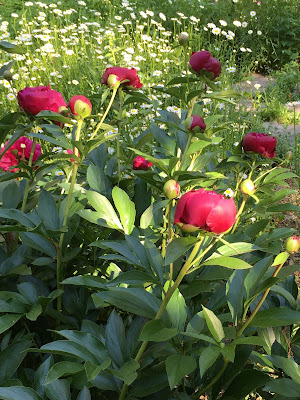 I liked the way these red peonies looked in the late afternoon light, with white daisies in the background. This picture is just as it came out of my (iPhone 6) camera. 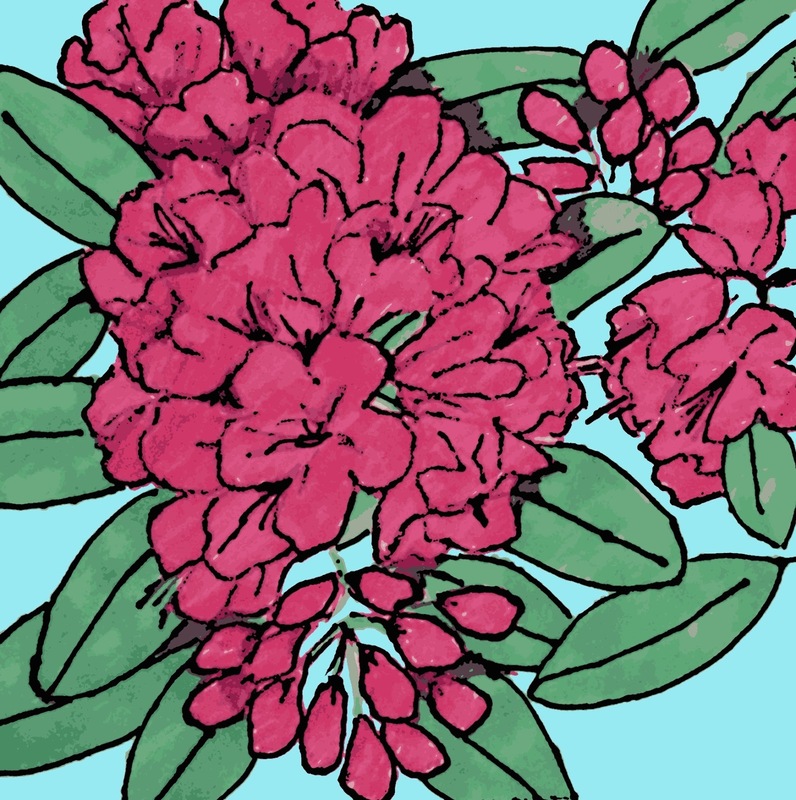 Yesterday's post was a digitally modified version of my drawing of rhododendron blossoms. I used Painter to change the background color to blue and added a woodcut effect. 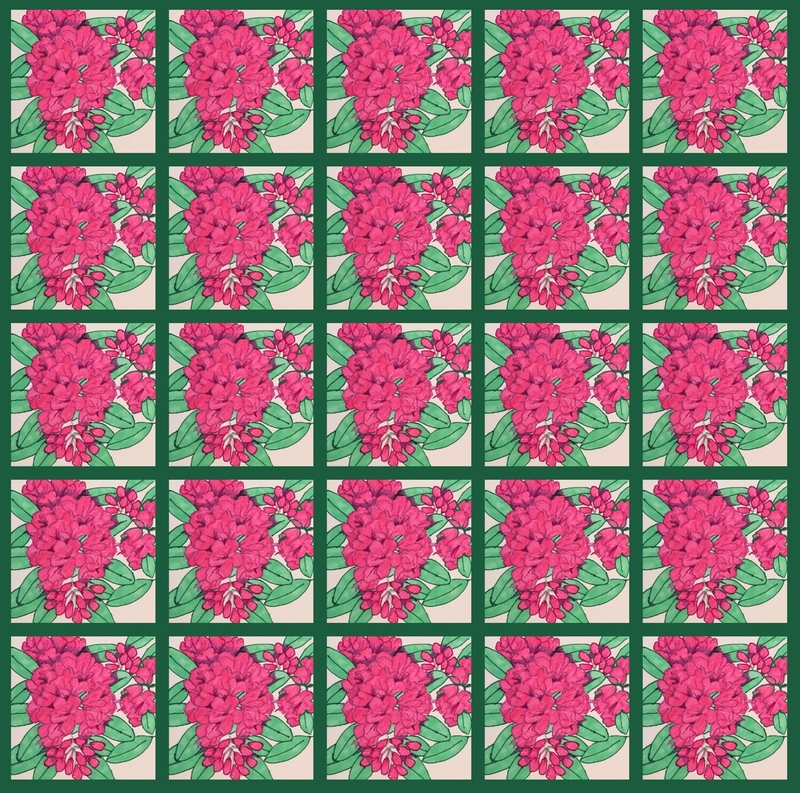 Tonight's post shows what I did after that: I added a white border and created a new pattern. 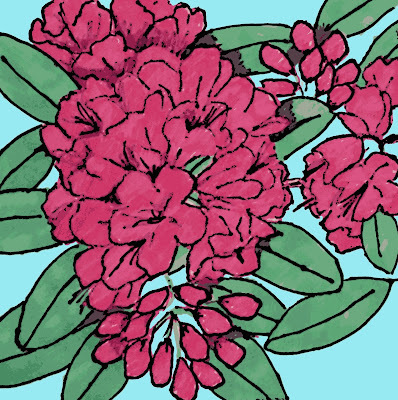 Tonight I decided to add a little more zip to my little drawing of rhododendron blossoms. So I opened the jpeg of the drawing in Painter, and applied a woodcut effect. 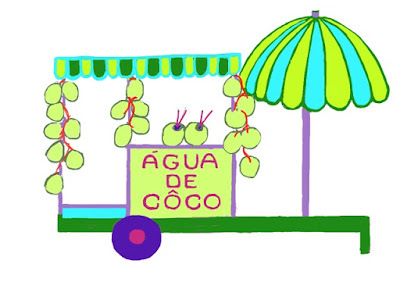 Then I used the paintbucket tool to change the background color. 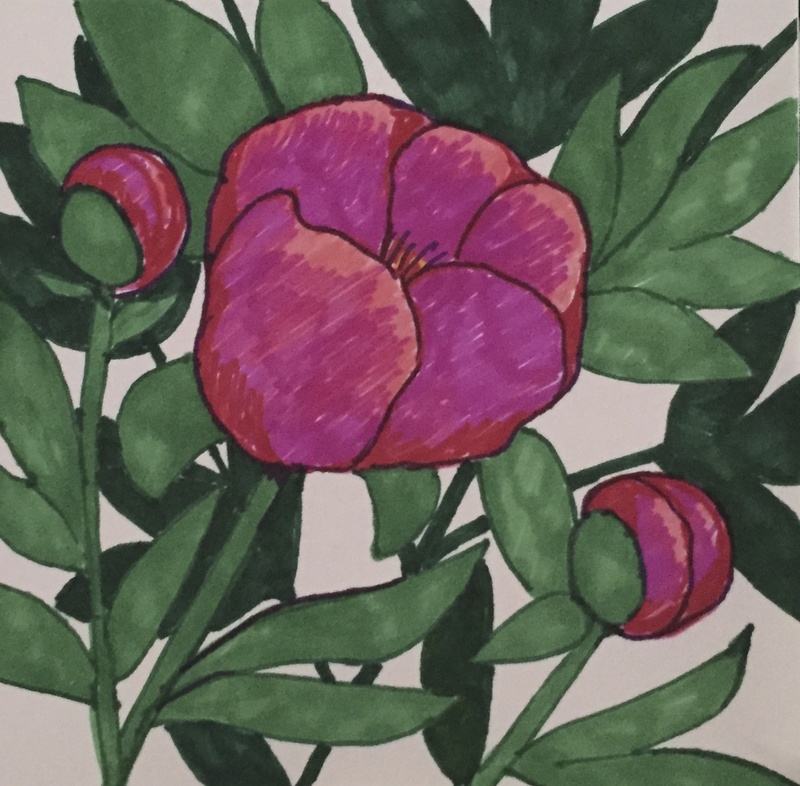 Yesterday I used my Sharpie markers to draw some rhododendron blossoms that are in my kitchen. 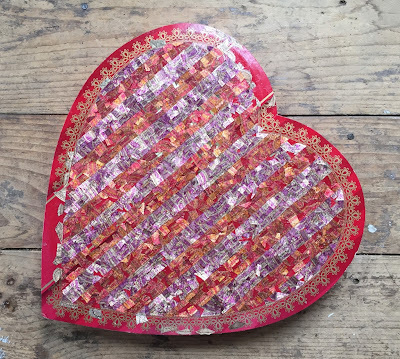 Today I used Painter to add a border and then create this pattern.